Family and Brain Drain – My niece and her husband who had lived in Honolulu after finishing graduate school returned to Columbus, OH where they met and bought a beautiful 3000 square foot home in a good school district in Columbus for the price of a fixer upper one bedroom condo in Honolulu. Uncle Dave is both thrilled for them and a little heartbroken at the same time. So anyway, while trying to come up with something to write about when I have to post “next week Wednesday,” I realized that this post actually has to go out on Wednesday, January 10th. Also known as tomorrow!!! So here we are! Embedded Librarianship – Way back in 2016, Katie Archambault shared an awesome post about her efforts aimed at Personalizing the Library/Research Experience for her students by employing a model of embedded librarianship. It’s taken me a lot longer than hoped to follow her lead, but this semester we will be endeavoring to embed research instruction into three sections of a Junior/Senior English course on the Literature of War and four sections of Junior/Senior IB Global Politics. 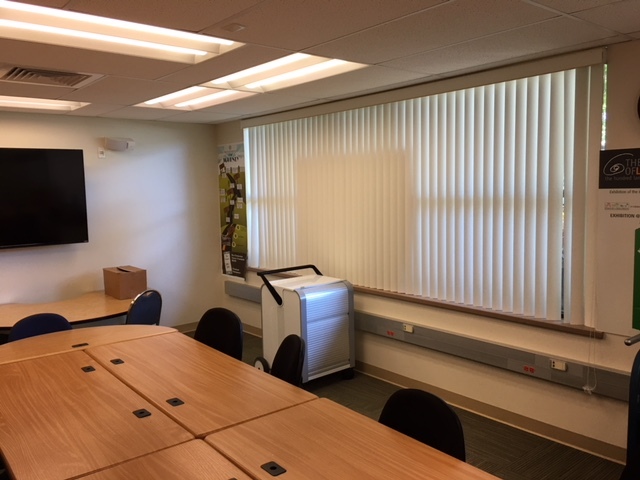 Teachers of both courses have scheduled their classes into the library for at least one 85 minute block period per week and on those days we will have an opportunities to do both mini-lessons and to schedule individual research appointments and provide personalized research support in 10-15 minute blocks. It is the first opportunity we have had to work with our upper level students that might venture beyond the typical “help them with databases” boilerplate lesson so I am excited to see where our students take us in this pilot! Unto Us a Library Is Born! – After a LONG gestation. My colleague, Nicole, and I have given birth to a beautiful bouncing baby library! She is currently tiny and a little bit undersized by some measures coming in at about 750+ volumes (and a rather robust few hundred pounds), but she is being well fed and continues to grow at a good clip every month! In an age where libraries everywhere seem to continually need to work to preserve their spaces for use as libraries, I feel completely blessed to work at a school where people at all levels are helping us find ways to make books, digital resources, and library instruction available to students! Sometimes I complain about stuff, but the reality is that I work for an incredibly supportive team of administrators and with an incredibly supportive faculty! The School President along with the Elementary, Middle, and High School Principals are all “library people” so if I’m ever complaining even a little, please remind me of that wonderful truth! We’re a PK-12 school. We service students in 3-12 in our main library, but haven’t had a K-2 lending collection until Monday of this week! This is our new baby! 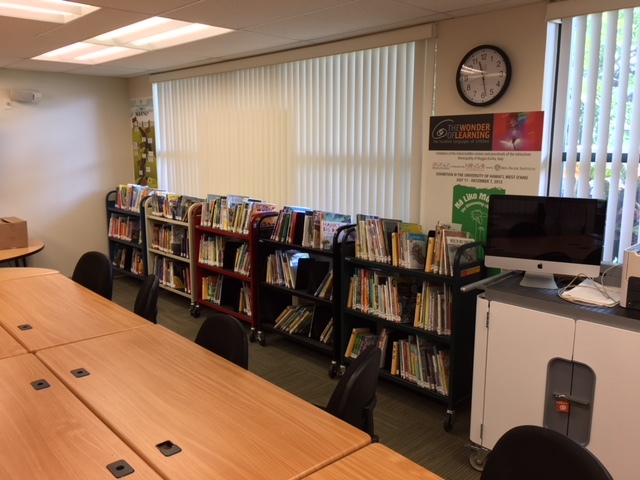 Our K-2 library (sometimes known as the Elementary School Conference Room), is currently tiny at just over 750 volumes and a few hundred pounds, but she is being nourished well and will continue to grow! We couldn’t be more excited about the new addition to our library family! And just in case you ever wondered, a fully loaded book truck builds up a LOT of momentum when you’re rolling it down the hill from the main library to the elementary campus! A tiny librarian rolls a fully loaded book truck down a steep hill. You just don’t see that everyday. Believe me, it is very entertaining! I probably should have helped but I was trying to get a good picture because, you know, I have priorities. Hahaha! May 2018 bring with it new eyes, new attitudes, new books, and lots of new library adventures to all! I’d SO love to hear about all that is new (and if it’s “new to you” it is, indeed, “new!”) in your libraries, so please hit comment and share! Lovely post! You always make me smile, David! Mahalo!